Miniature trains go around the lake, across bridges, through gum trees. There is a Railway Station, a quaint Ticket Box, turntables and shed. 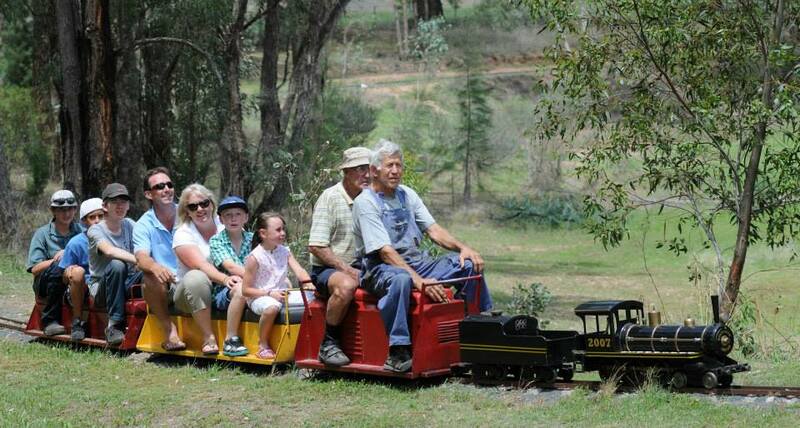 Heritage Village is set on 18 acres of grass, bushland & a lake. It is in the heart of the rich farming area, the Liverpool Plains, in the North West of NSW. Our Museum has been designed to collect, restore, preserve and exhibit artefacts that depict the heritage and culture of our region. The Village has 3 large pavillions & 7 other buildings. The Federation Pavillion & Coffee Shop, have exhibits ranging from Aboriginal artefacts, Fossils & gem stones, rooms in cottages as they would have been in early settlement days, shop settings and an intricate model tramway display. 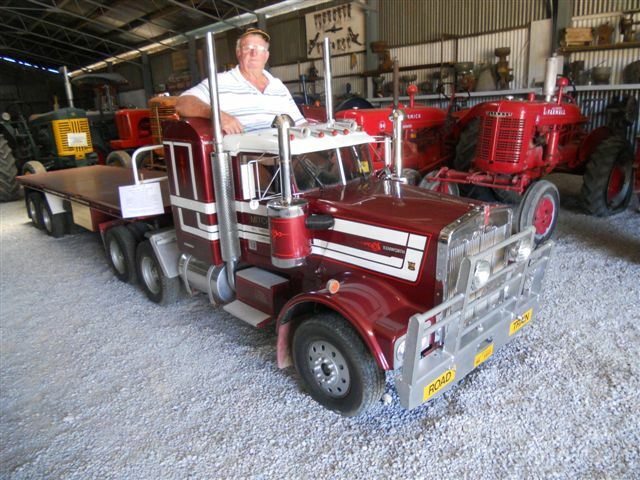 Our Tractor pavillion is brimming with agricultural equipment, from tractors, horse drawn wagons, sulkies, a shearing shed stand & wool display, an saddlery workshop, dairy eqipment, stationary engines and a working scale model of a Kenworth Truck. The Machinery pavilion houses the big gear. Fire engines, bullock wagons, Clayton & Shuttleworth thrashing machine & elevator etc. The steam shed has a working Fowler steam traction engine. Blacksmiths fire up the forge each month and bend metal into shape. The Mens Shed is busy, repairing and restoring. There is a Miniature Railway Station, with more than 800 metres of track, winding around the lake over bridges and a new line is being built with a tunnel through hell fire pass. We have a Classic Car Club & a Model Railway building. Historical buildings have been moved to the Village. The restoration of the Blackville Church & maids quarters is underway. $5 adults & $2 children over 5 years. Babies free. Open every Fri, Sat & Sun 10am -4pm. Train Station & Ticket box, steaming bay, & turn tables, bridge & tunnel. Trains run every fourth Sunday & for occassions like Birthday parties, bus tours, Christmas parties.